While voltage sags and momentary interruptions cause the most widespread power quality problems, several other power quality disturbances can damage equipment, overheat equipment, disrupt processes, cause data loss, and annoy and upset customers. 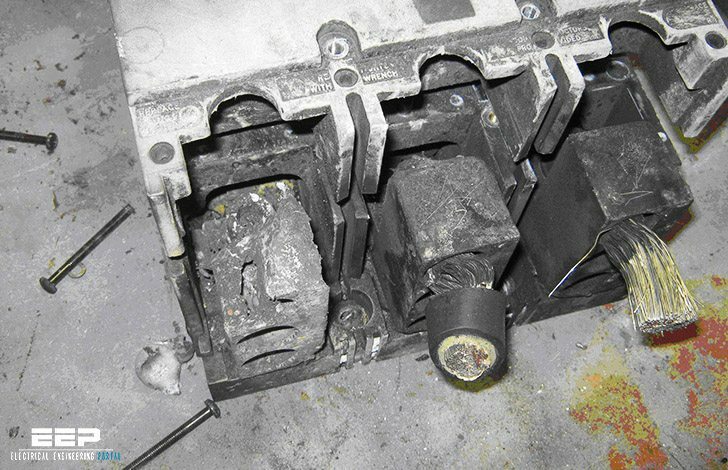 Often, customers complain of equipment failures, especially following power interruptions. Is it lightning? Voltage swells during faults? Some sort of switching transient? Sometimes explanations are obvious, sometimes not. Several events can fail equipment during a fault/interruption, either from the disturbance that caused a fault, the voltage sag during the fault, a voltage swell during the fault, or the inrush while the system is recovering. Before going into deep in this subject, note that we are not discussing here whose fault is failure of electrical equipment (designer, manufacturer, customer etc.). Overvoltages are analysed only. Overvoltages – Lightning and other system primary-side overvoltages can enter the facility and damage equipment. Grounding – Poor facility grounding practices can introduce overvoltages at equipment from fault current. Capacitive coupling – Reclose operations and other switching transients can create fast-rising voltage on the primary that capacitively couples through the transformer, causing a short pulse on the secondary. Inrush current – While recovering from a voltage sag or momentary interruption, the inrush current into some electronic equipment can blow fuses or fail semiconductor devices. or other unbalanced sag. The current can blow fuses or fail the front-end power electronics. Equipment aging – Some equipment is prone to failure during turn on, even without a voltage transient. The most obvious example is an incandescent light bulb. Over time, the filament weakens, and the bulb eventually fails, usually when turned on. At turn on, the rapid temperature rise and mechanical stress from the inrush can break the filament. Lightning can cause severe overvoltages, both on the primary and on the secondary. Damaging surges can enter from strikes to the primary, strikes to the secondary, strikes to the facility, strikes to plumbing, and strikes to cable-television or telephone wires. Poor grounding practices can make lightning-caused failures more likely. Switching surges – Normally peaks at less than 2 per unit and decays quickly. Ferroresonance – Normally peaks at less than 2 per unit. Just as arresters on distribution lines are sensitive to overvoltages, arresters inside of electronic equipment often are the first thing to fail. The power supply on most computers and other electronics contains small surge arresters (surge suppressors) that can fail quickly while trying to clamp down on overvoltages, especially longer-duration overvoltages. These small suppressors have limited energy absorption capability. In addition to proper grounding, surge arresters are the primary defense against lightning and other transients. For best protection, use surge protection at the service entrance and surge protection at each sensitive load. Surge arresters work well against short-duration overvoltages – lightning and switching transients. But arresters have trouble conducting temporary power-frequency overvoltages; they absorb considerable energy trying to clamp the overvoltage and can fail. Small arresters often are the first component to fail in equipment. 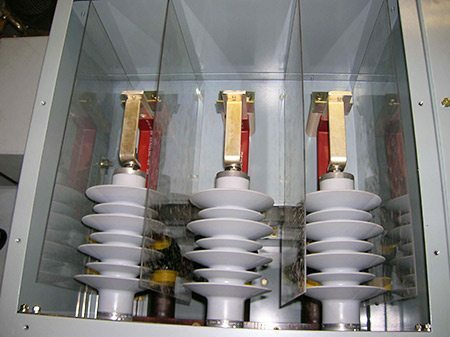 Using a higher voltage rating helps give more protection to the surge arrester during temporary overvoltages (for example, end users should not use arresters with a maximum continuous operating voltage below 150 V). So, we want the arrester with the most energy capability to absorb most of the energy. Surge arresters should be coordinated. The large surge arrester at the service entrance should have the lowest protective level of all of the arresters within the facility. Because arresters are so nonlinear, the unit with the lowest protective level will conduct almost all of the current. I do not agree with your comment about using a higher voltage protector at the service entrance. There is no functional reason to have an MOV surge protector at the service entrance. MOVs can not see in rush current. Switch mode power supplies have a large in rush current. MOVs at the service entrance let through up to 1000 Volts. So it does not protect much more than the wires in a building. If designed properly, you only need one device to protect a piece of equipment. Anything else is extraneous. 80% of surges originate from within a building so spending hundreds of dollars and installation costs for a device that only protects 20% of the problems is not very cost effective. MOV based surge protection also sends surges to the ground line. The ground line needs to be free of energy so it can be used in data communications. This is also a path for the surge to get back into equipment. MOVs wear out over time. Each surge degrades their performance. The degradation increases exponentially so it will be too late before you know it. What you need is a device that filters out the in-rush current and the voltages together in real time. By using a series mode filter, one can accomplish this. Zero Surge and SurgeX have shown that their technology is affordable, viable, reliable, and never degrades. There is a 25 year history of zero surge failures. We protect in environments where others have failed. I do agree that power quality issues should be top of mind for a building engineer. As more equipment becomes more connected and more computer controlled, you will need to have protection that will not fail or need replacing. This current push to replace lighting with LED highlights how important physically and financially it becomes to have good power protection. LED lights run off of a power supply that is susceptible to surge damage. These 10 year lights will only last that long and help recoup energy costs if they do not prematurely die due to poor power quality.